It seems like every culture with a coastline has their version of a seafood stew. The French have bouillabaise, the Portuguese bacalhoada, New England chowder and San Francisco cioppino. In Brazil, they make moqueca (pronounced “mo-KEH-kah”), a stew made with fish, onions, garlic, tomatoes, cilantro, and in the northern state of Bahia, coconut milk. My first encounter with moqueca was a salmon version of the stew prepared by Brazilian blogger Fernanda of Chucrute com Salsicha. So good! We love making fish stew, but had never thought to use a base of coconut milk. Since then, every Brazilian I’ve met, when the conversation turns to food (as it invariably does), their eyes light up at the mention of moqueca. A few words about this recipe. First, it’s easy. As exotic as it may sound, you probably have most of the ingredients already in your pantry (you’ll want to get fresh fish), and with prep, making rice, the total time involved is less than an hour. Second, since this is an American website, we’re dealing with ingredients we can get here. True Bahian moqueca is made with a fish caught off the coast of northern Brazil. In our case, we’ll want to use a firm white fish. I used cod for this batch, which is barely firm enough. Halibut would hold up better. You can also add shrimp or other shell fish to this stew. Palm oil is traditionally used in making moqueca, but it’s hard to come by here, so we are using olive oil. Finally, adjust the seasonings to taste! If it doesn’t seem flavorful enough to you, you need to add more salt. And probably a little more lime or lemon juice and paprika too. To any Brazilians who might be reading this blog (Olé Brasil!) if you have a favorite moqueca recipe, please tell us about it the comments. Traditional moqueca uses palm oil. 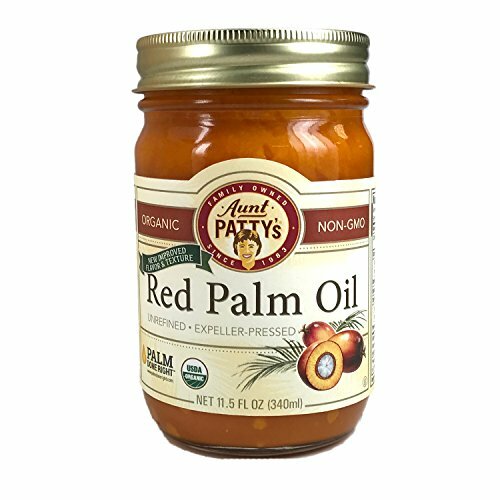 If you can find it (I checked three stores here and was not able to locate any) add just a tablespoon to the stew along with the coconut milk. 1 Coat fish with garlic and lime juice: Place fish pieces in a bowl, add the minced garlic and lime juice so that the pieces are well coated. Sprinkle generously all over with salt and pepper. Keep chilled while preparing the rest of the soup. 2 Make rice for serving with soup: If you are planning on serving the soup with rice, start on the rice. Bring a couple cups of water to a boil. Heat one Tbsp of olive oil in a medium saucepan on medium high heat. Add the chopped 1/2 onion and cook, stirring, until the onion is translucent. Add the garlic and cook for 30 seconds more, until the garlic is fragrant. Add the raw white rice and stir to coat completely with the oil, onions, and garlic. Add the boiling water. (The amount depends on your brand of rice, check the package. If no amounts are given, add 1 3/4 cup of water for every cup of rice.) Stir in 1 teaspoon of salt. Bring to a simmer, then lower the heat, cover, and let cook for 15 minutes, after which, remove from heat until ready to serve with the soup. 3 Start cooking the onion, bell pepper, tomatoes, onion greens: In a large covered pan (such as a Dutch oven), coat the bottom with about 2 Tbsp of olive oil and heat on medium heat. Add the chopped onion and cook a few minutes until softened. Add the bell pepper, paprika, and red pepper flakes. Sprinkle generously with salt and pepper. (At least a teaspoon of salt.) Cook for a few minutes longer, until the bell pepper begins to soften. Stir in the chopped tomatoes and onion greens. Bring to a simmer and cook for 5 minutes, uncovered. Stir in the chopped cilantro. 4 Layer vegetables with fish, add coconut milk: Use a large spoon to remove about half of the vegetables (you'll put them right back in). Spread the remaining vegetables over the bottom of the pan to create a bed for the fish. Arrange the fish pieces on the vegetables. Sprinkle with salt and pepper. Then add back the previously removed vegetables, covering the fish. Pour coconut milk over the fish and vegetables. 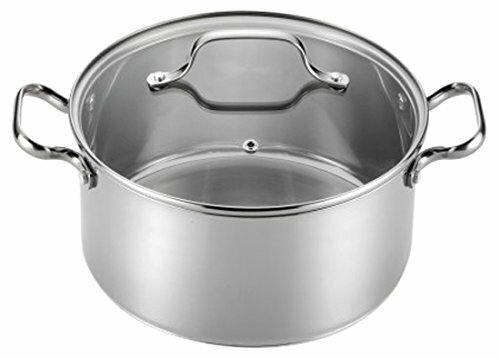 5 Simmer, cook, adjust seasonings: Bring soup to a simmer, reduce the heat, cover, and let simmer for 15 minutes. Taste and adjust seasonings. You may need to add more salt (likely), lime or lemon juice, paprika, pepper, or chili flakes to get the soup to the desired seasoning for your taste. Garnish with cilantro. Serve with rice or with crusty bread. Hello! All photos and content are copyright protected. Please do not use our photos without prior written permission. If you wish to republish this recipe, please rewrite the recipe in your own unique words and link back to Moqueca – Brazilian Fish Stew on Simply Recipes. Thank you! This is like the first recipe where the results are good without having to modify it or add outside ingredients. I’m in love. We had this at a Brazilian restaurant last weekend, and we talked about it all the following Week. So when I found it my husband was on it to the store. Luckily we had everything in the house but tomatoes. So definitely keeping this as a go to recipe for a quick dinner. It was so filling with the rice too. How would I convert this to feed 60people? I only ask because I don’t have experience in converting some for so few into something for so many. Eby, wow, that sounds like a delicious undertaking! By my math, you’d have to multiple the recipe ingredients by 15. Best of luck to you! It was great thank you so much! Did a test batch and even my toughest family liked it. This is excellent. You can add shrimp, scallops, mussels, clams and top with crab too! In Brazil we have two different moquecas, this one from Bahia and the capixaba, from Espírito Santo state. Both are delicious, the only difference is that the moqueca capixaba has no coconut milk, and it takes olive oil instead red palm oil. I like to prepare any of them with red snapper, prawns and sliced plantain or banana. so delicious. i was worried it’d be bland because it wasn’t as ‘intricate’ as the NYtimes recipe but i also didn’t feel like making my own fish stock, which that called for. this is exceptional. i did half the fish it called for and added some shrimp at the end (so as not to overcook it). sooooo good! Did I miss it? Where is the garlic for the stew added? In step one, where you coat the fish with garlic and lime juice. My family is wild about this stew – I used tilapia and added potatoes. So good! Delicious!! Creamy and tangy with pops of sweet from the tomatoes. With rice it’s a filling and fairly simple dinner. Thank you! I’m so glad you liked it Sheri! Loved it! Such great flavor!! I added shrimp to it. Will be making again real soon! Wondering if I can use light coconut milk next time? Hi Barbara, I once did an experiment in which I bought every brand of full fat and light coconut milk I could find at our local grocery store. A friend of mine and I taste tested each one. The verdict? The light coconut milks were universally bad tasting. The cans of regular, full fat coconut milk? All delicious. This is why I advise to always use full fat coconut milk. That said, if you have a brand of light coconut milk that you have tasted and you like, by all means use it! Divine! No rice needed. Perfect meal for a cold January night while following a Keto diet. So much flavor and very filling! I did not measure but was generous with the red pepper, paprika, and lime juice. Also used extra garlic.. because I always do. I used all of the peppers instead of half of each because I love a vegetable forward stew. And did 1 pound cod and 1 pound shrimp just to mix it up. Will definitely recommend to friends and make again! I can’t do dairy or coconut. Would it be okay to use almond milk or cream? I would love to try this recipe. Hi Stephanie, coconut milk really is an essential ingredient in this soup. This was awesome. Used tilapia instead and a whole red pepper instead of the half and half. I’ve also seen this stew use salmon, so I don’t think it needs to be white fish. Great recipe. I don’t like fish much but my husband does. I added small potatoes for me but it really doesn’t need it..the fish tastes great. He sure enjoyed it! Perfect creamy soup for those of us who can’t enjoy dairy. Has become an easy and quick go-to. I have made this 5 times now. We are empty nesters and wife doesn’t like fish (not my problem). I make a big batch as one can eat on this for days but my real reason is to take a bunch to my coworkers. When chill is in the air the call for this soup is also. Well chill is in the air and I have bought some cod. I always add shrimp and am thinking of adding some mussels, don’t see how they could hurt. Live in Arkansas so we like a little Cajun seasoning in everything. Tony Chachere’s. One can not go into a Louisiana restaurant without that being on the table. I made this for my Brazilian boyfriend and he loved it! Been making this recipe for years now. It’s delicious and worth the effort.